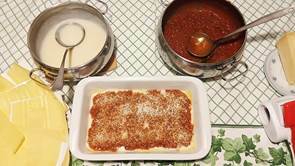 Bolognese Lasagne is a worldwide renown Italian dish from the northern region of Emilia Romagna. It is a symbol of the Italian culture. For many families all over Italy, it is a must-have dish for special celebrations and a Christmas day tradition! 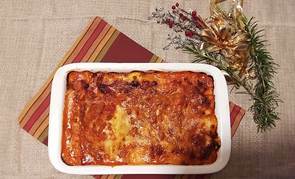 Nowadays, there are many different versions buy today, I will share with you the recipe of the REAL ITALIAN LASAGNA and the secrets of the authentic Bolognese Sauce! 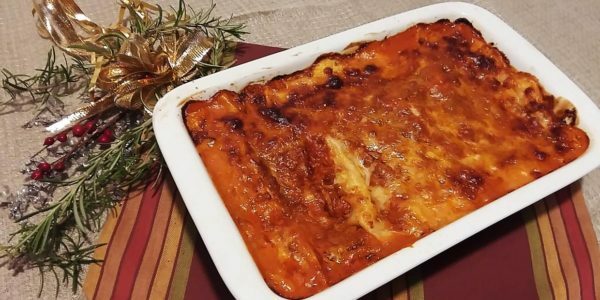 In most cases, you don’t need to pre-cook the lasagna sheets but it is important to choose a good quality pasta because the texture is fundamental to absorb the sauce. 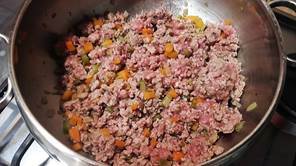 Mix 2 different type of meat: minced beef and minced pork. This will give a boost of taste thanks to the natural fats contained in the meat. Use only a high-quality tomato sauce to enrich the taste of your lasagna! 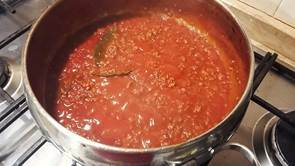 The sauce is the most important part of this recipe and even though it takes a few hours to be ready it really worth the effort! Not in time to prepare your own tomato sauce? Don’t worry. You can also use our Bolognese Sauce. 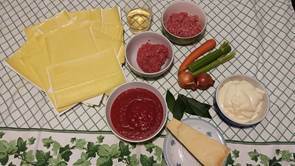 This sauce is made following the traditional techniques and It contains all the ingredients of the authentic bolognese sauce ( Tomato pulp, beef, pork, tomato puree, carrot, onion, olive oil, celery and white wine). Simply heat the sauce in the pan. Then, follow the steps of my recipe to make the layers. 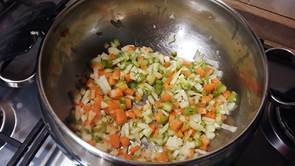 Finely chop the peeled carrot, onion and celery. Warm up a bit of Extra Virgin Olive Oil “Il Vero” in a big pot and add the minced vegetables. Sautèe the vegetables for 10 minutes, stirring from time to time. This is called “soffritto” in Italian, and it is the secret of every good sauce! 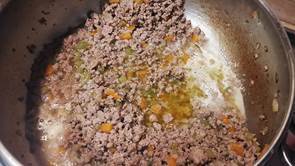 Add the minced meat and let it fry slowly over a medium heat. Let the juices of the meat come out and wait until they are absorbed. When the bottom of the pot is dry, pour in the white wine and stir well. 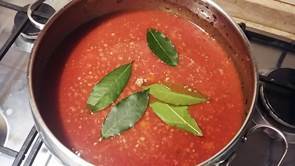 Once the wine has evaporated add the tomato sauce, 1 litre of water, and the bay leaves. Add a pinch of salt and let it cook for 1 hour on a low-medium heat. After that time, add the second litre of water, stir all together and keep cooking for one more hour. Finally, add the last litre of water, stir again, and keep cooking for the last third hour. 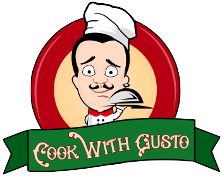 At the end of the cooking, the sauce should not be too thick, because it will get thicker in the oven. Add salt and pepper, turn off the heat and add the milk, stirring quickly. Now, prepare the white sauce. In a smaller pot, warm up the milk, flavour it with grated nutmeg and reserve. In a second pot, add the butter and melt. Then, add the flour, stirring vigorously and add the warm milk. Do this slowly, constantly stirring and preventing the formation of clots. Cook for 5-6 minutes until you obtain consistency of medium thickness. Now let’s make the lasagne layers! 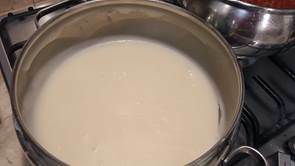 Take a 30x20cm oven pan, and spread a spoon of white sauce on the bottom. Make the first layer of lasagne sheets. Then add a layer bolognese sauce and then a layer of white sauce. Be generous with parmesan on top and make other layers following the same order (pasta-white sauce-bolognese sauce-parmesan). The last layer should end with the parmesan (you’re allowed to exaggerate!). Bake in the oven for 25 minutes at 180°C. The lasagne will be ready when the top layer will be crunchy and brown!